Some of the equipment listed in this Guide may not be readily available from major equipment retailers. For individual items, we suggest working with one of the following suppliers. These resellers are familiar with our certified equipment and keep stock or can order most of the equipment we recommend. For support issues or design services please contact Inveneo directly. 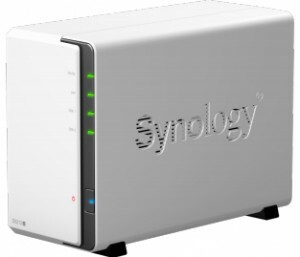 The Synology DiskStation DS213j is a network attached storage (NAS) device with a built-in web server and application platform. It’s a great system for data backup with two hard drive bays and RAID 1 mirroring for reliability. We’ve found the DS213j to be an excellent candidate for educational institutions where content hosting and sharing is important, both in computer labs and across networks. Click here to read more or please contact Inveneo for more information. Fenix recently created the ReadySet solar charger kit. It’s incredibly useful to charge Tablets, an ICT4E solution that Inveneo is investing in to help enhance the work of teachers in the developing world. 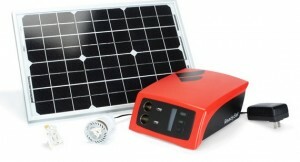 ReadySet comes with a solar panel and can reach up to 75 watts of power. Please contact Inveneo for more information. For customers who need a mobile solution, Inveneo and our Inveneo Certified Local Partners are Intel Learning Series Alliance Partners. This allows us to offer ClassmatePC laptop computers in Africa with the Alliance ecosystem of supporting hardware and software. Inveneo Certified low-power desktop solutions are designed to meet the variety of needs that partners and customers face in rural and underserved communities. When paired with low-power LCDs, they provide the optimum performance and features for all types of deployments. Inveneo identifies, sources, tests and certifies a range long distance outdoor WiFi products for use in rural settings. We currently recommend and stock a range of Ubiquiti devices for rural installations in Africa.